Olivia joined Watsi on June 26th, 2017. Two years ago, Olivia became the 2960th member to automatically support a new Watsi patient every month. Since then, 2,137 more people have become monthly donors! Olivia's most recent donation supported Ai, a boy from Burma, to fund contracture repair surgery. Olivia has funded healthcare for 22 patients in 6 countries. Geofry is a young man from Kenya. He is the fifth of six children. Currently he works on construction sites. Earlier this month, he slipped and fell and sustained a closed fracture on the radius and ulna of his left hand. It is difficult for him to use his hand, and he is in pain. Fortunately, surgeons at our medical partner can help. On February 21, Geofry will undergo a fracture repair procedure, called an open reduction and internal fixation. This procedure will help him heal and use his hand again to work. Now, our medical partner, African Mission Healthcare Foundation, is requesting $998 to fund this procedure. He says, “I plead for help because my income is very little and I have no one to help me. I hope to be well and go back to my job to support myself." John is a baby from Kenya. He is the youngest of three siblings. John has been diagnosed with hydrocephalus, a condition in which excess cerebrospinal fluid accumulates in the brain and increases intracranial pressure. Without treatment, John will experience severe physical and developmental delays. 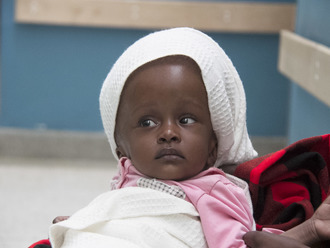 Our medical partner, African Mission Healthcare Foundation, is requesting $685 to cover the cost of surgery for John that will treat his hydrocephalus. The procedure is scheduled to take place on November 28 and will drain the excess fluid from John's brain. This will reduce intracranial pressure and greatly improve his quality of life. 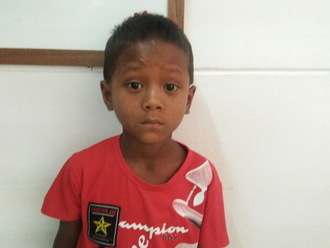 With proper treatment, John will hopefully develop into a strong, healthy young boy. John’s mother says, "I am hoping somehow he will get better." 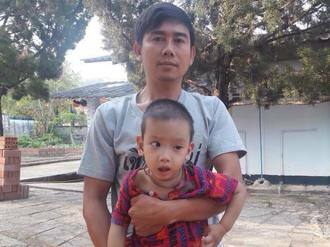 Thu Rain is two-year-old boy from Burma. He lives with his parents. His father works as an agricultural day laborer and is the only breadwinner for their family. 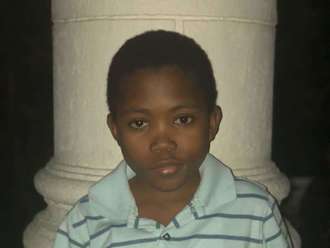 When Thu Rain was born, his mother noticed a lump on the back of his head, which continued to increase in size over time. After they sought treatment at Mae Tao Clinic, where they were referred to our medical partner, Burma Children Medical Fund, Thu Rain underwent surgery to remove the mass. A year later, he now requires an MRI during his follow-up. Doctors want Thu Rain to undergo an MRI, an imaging procedure that uses magnetic fields and radio waves to produce images of bodily organs. This scan will hopefully help doctors diagnose his condition and formulate an appropriate treatment plan. Our medical partner, Burma Children Medical Fund, is requesting $968 to cover the cost of Thu Rain's MRI and care, scheduled for April 24. "We are so happy and thankful he received treatment," said Thu Rain's parents.